NanoWriMo, National Novel Writing Month, ended on Sunday at midnigh with the arrival of December. It would be better called WoNaWriMo (wo = world) but it’s been a worthwhile endeavour. I’ve fallen well short of the 50k target and don’t have an accurate final count owing to handwriting most of my efforts. But I think it’s somewhere north of 20k words. Not too shabby. 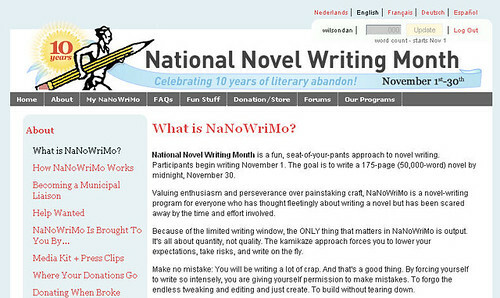 But the value of NanOWriMo isn’t in huge wordcounts or 30 days of slog. It’s about baking in the discipline of writing every day to you daily routine and, in that sense, has been a useful reminder. Enquire within upon everything… a perfect gift for geeks.